On Friday evening Squiggle Park was hopping! 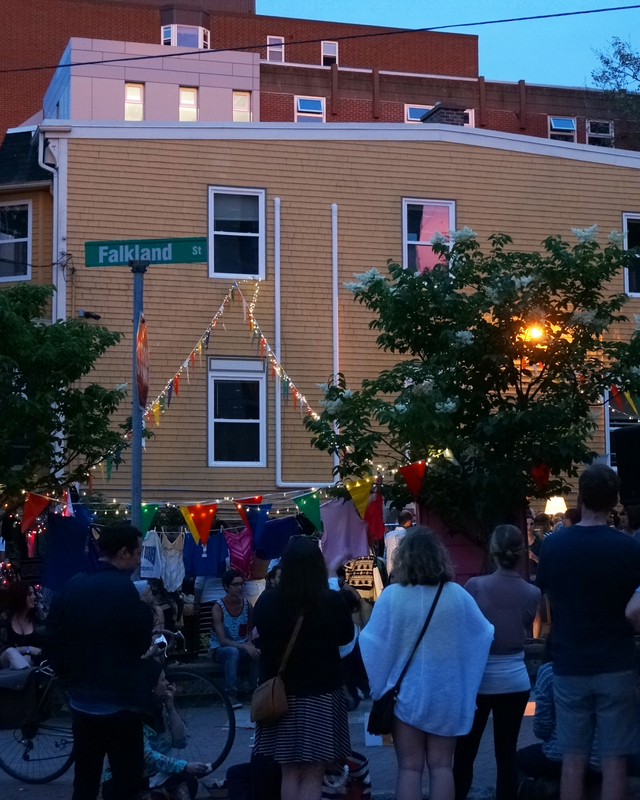 The corner of Gottingen and Falkland became a lively night market hosted by Squiggle Park food truck in residence, The Food Wolf. 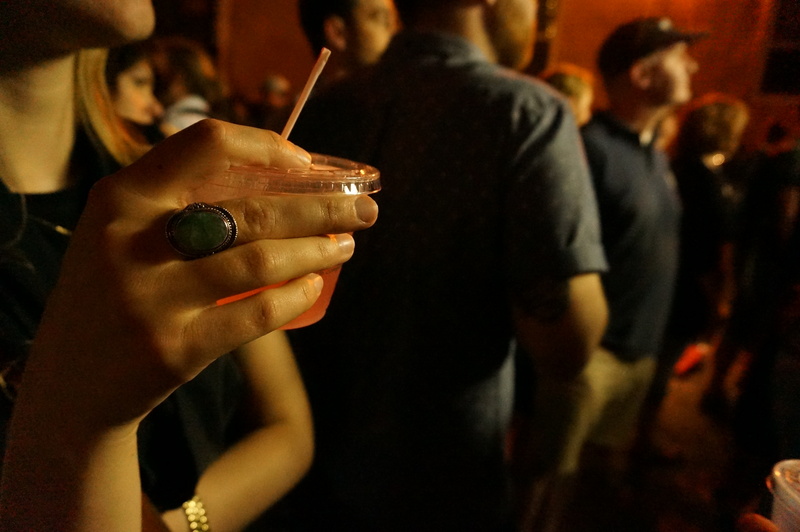 North by Night Market (NXNMRKT) is a newly established monthly event that showcases local vendors, food trucks, and music and I pretty much sampled everything edible there. 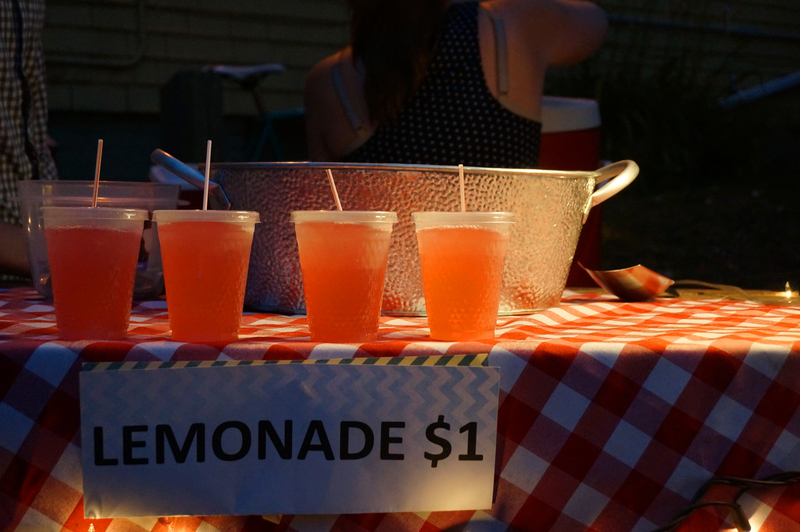 The first stop was at EDNA‘s table for a glass of delicious pink lemonade. At 1$ a glass, why not have two? 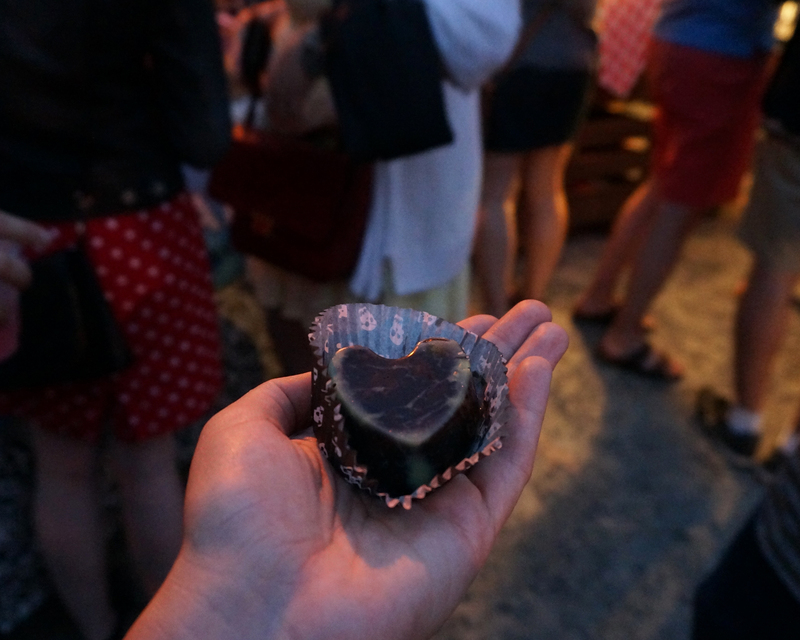 My (surprising) favourite food item of the evening was the Avocado Fudge from Crowbar Real Foods. 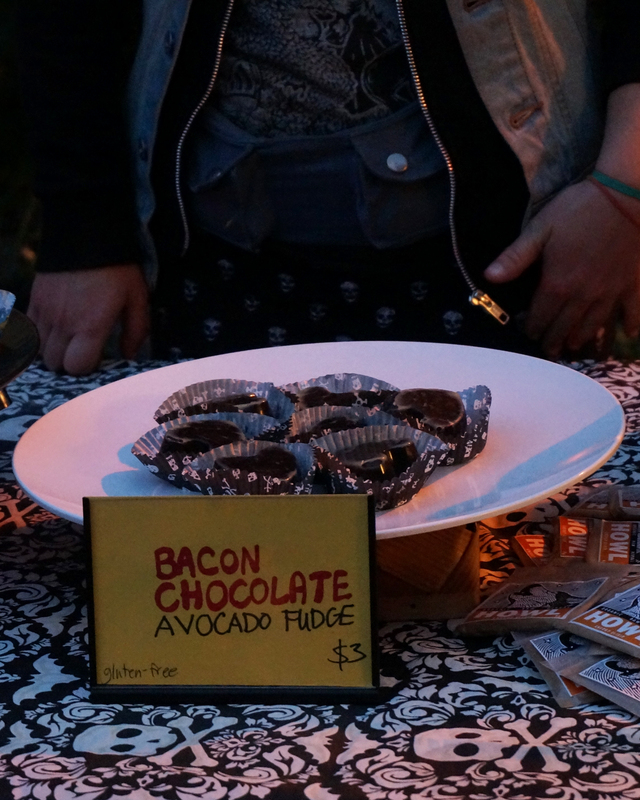 Yes, that’s right, I said fudge with avocado in it, and, with BACON. A delicious treat, the avocado made the fudge extra creamy, and except for the green swirls, there was no overwhelming taste of avocado in there, and it’s healthier, right? Two food trucks made an appearance at the NXNMRKT, Halifax Press and The Firefly Feast which served up a great selection of tasty eats, although I was a little disappointed to not see the Food Wolf truck in sight. 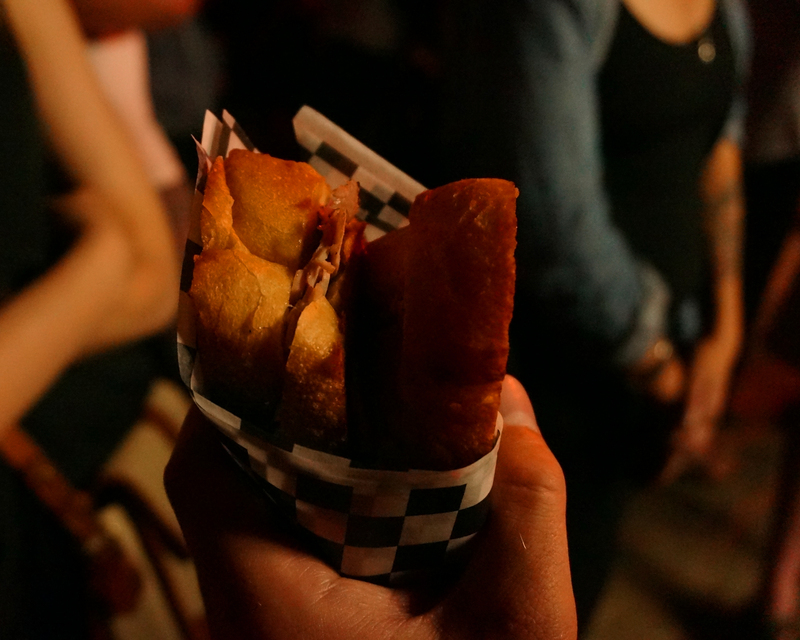 Halifax Press had a great selection of grilled cheese sandwiches and were teamed up with Ratinaud French Cuisine to create some extra special eats, including the Ratinaud 2.0: This grilled wonder was filled with delicious ham, gooey cheddar, and fresh strawberry basil relish, tas-ty. Manual Coffee and Baking’s coffee and pies were a huge hit Friday evening; by the time we were ready for our second dessert, there were only a few slices left! 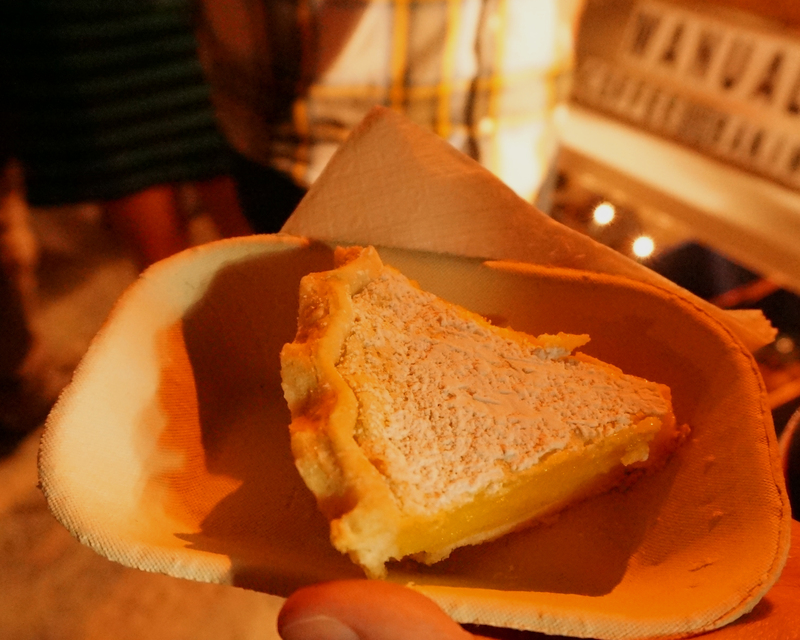 Manual is a pop up and catering bakery that serves coffee, donuts, and way too delicious pies. From Lemon and Coconut Cream to Sweet Potato with bourbon and little roasted marshmallows, these pies could put your grammy’s to shame. With pretty twinkling lights, colourful flags, music from DJ Russell W. Gragg, Esq. and a really awesome vintage video game on the sidewalk, this little corner of the North End was alive for a few short hours on Friday evening. 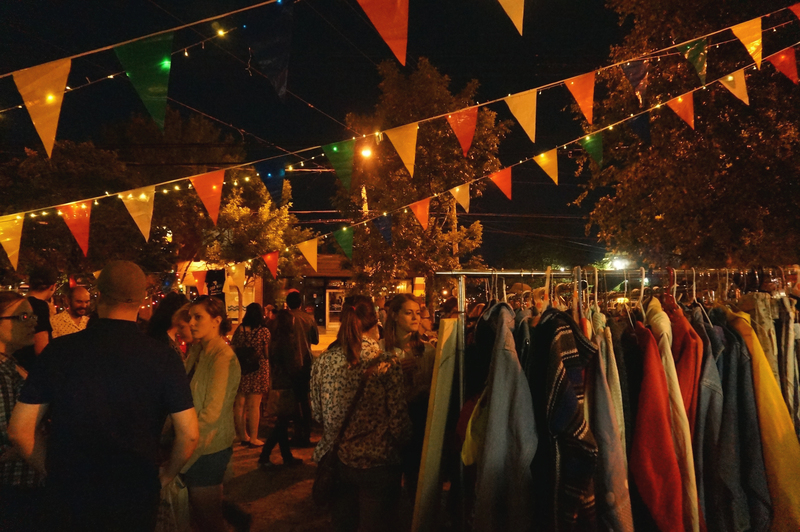 Pair that with vintage clothes from Vagabond Vintage Clothing, fresh vegetables to buy, and there was a whole lot of fun to be had/eaten. 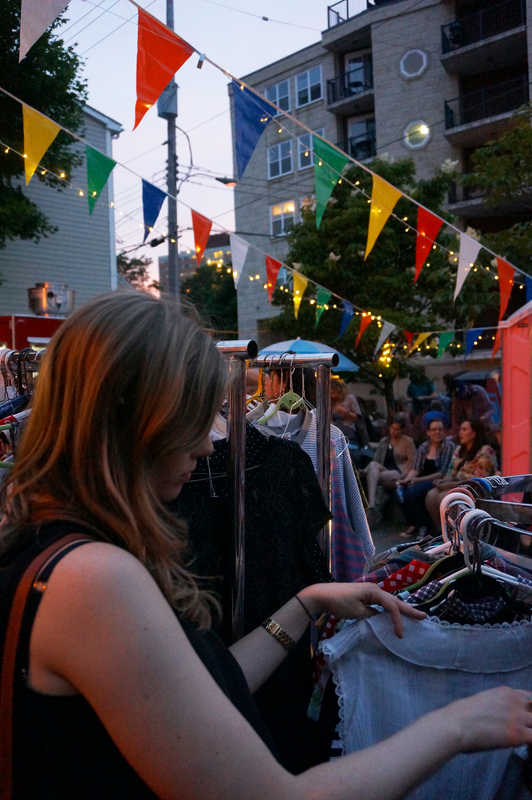 The next NXNMRKT will hopefully be happening on the second Friday of August with more vendors and lots of delicious foods, come and check it out!